Do you want to give away an Arden present but you are not sure what? Therefore, we recommend the Arden gift voucher. The value of the voucher can easily be adjusted adding more vouchers (e.g. 2 x 25 Euro = 50 Euro total value). After your payment you will directly receive the voucher as PDF. It can be combined with further promotional offers or discounts. 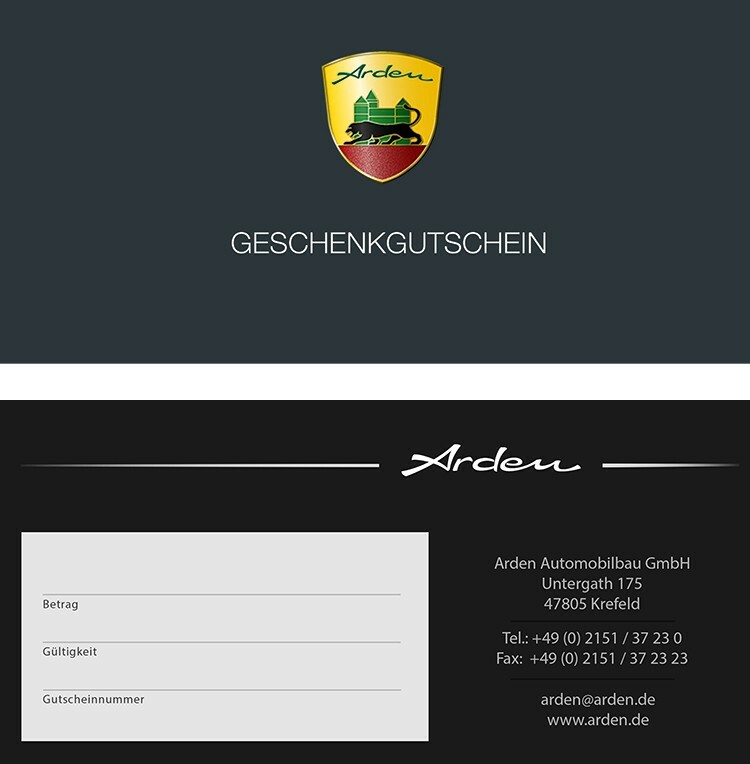 The voucher is valid for all orders (telephone, e-mail, fax) except orders via the Arden onlineshop. If there is a remaining value on the balance, it can be added to your next order.